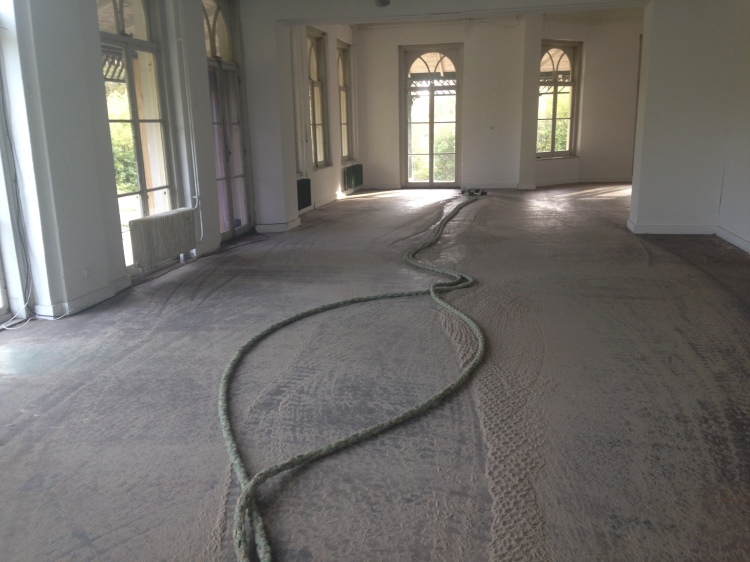 ‘Untangling the tides’ is made during a residency at Villa Ockenburgh. This Residency is an artistic research of the Sand Engine, a huge experimental coastal protection program of Rijkswaterstaat. This immense beach where scientists are researching the tides, currents and sand deposition inspired Feigl to create ‘Untangling the tides’. Feigls work is characterized by movement and physical phenomena. Moreover, his work often evolves around tracks these may cause. 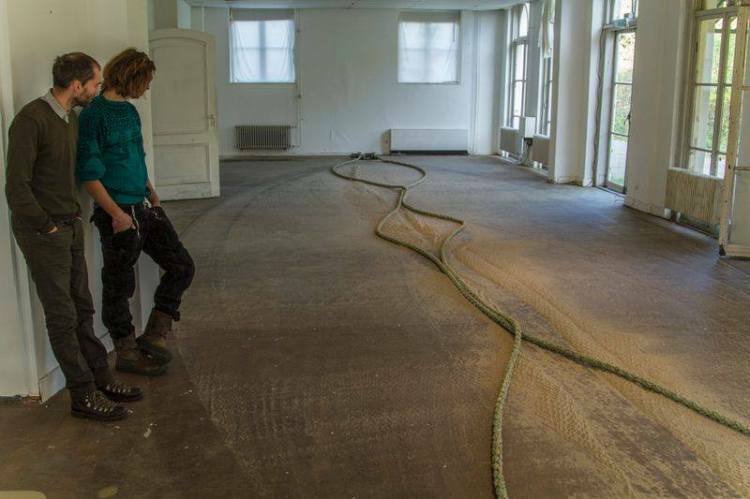 It is therefore not surprising that the rising and falling of the sea can be recognized in the new work he created especially for the residency hosted by Satellietgroep. The sea shapes the beach and the beach shapes the sea. 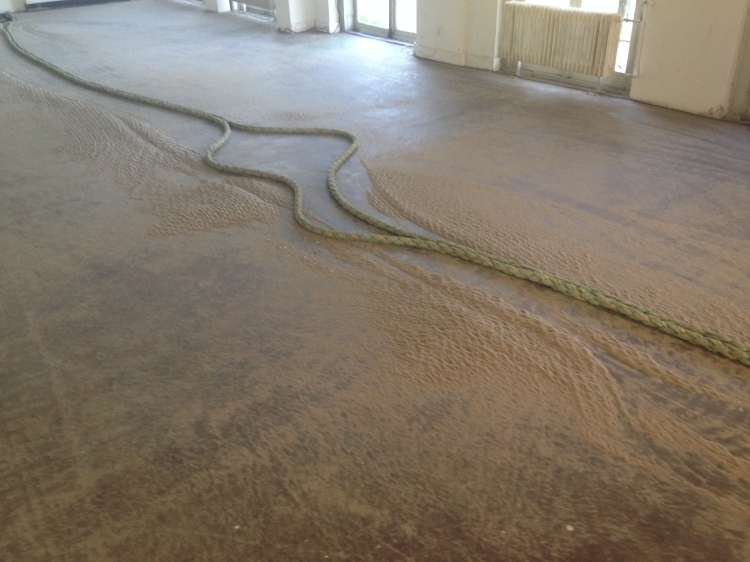 Feigl shows the power of repeating patterns with moving rope in a space filling installation. With special thanks to Satellietgroep / Badgast, Villa Ockenburgh / Locatie Z, Stroom, gemeente Den Haag, provincie Zuid-Holland, Ecofish Urk en TU Delft.